New Def Jam Records signee, Beau Young Prince photographed by @iamjakewashere. The last several weeks have been loaded with major releases and announcements within the DMV music community. Odd Mojo's remix collaboration with MILK$ featured on the Sounds of D.C. vol. II playlist and the surprise drop of Tony Kill and Sir E.U's joint project African American Psycho feel like timely additions to the sonic landscapes. Moreover, budding stars Rico Nasty and Beau Young Prince celebrated record label signings with Atlantic and Def Jam, respectively. Let's recap some of the other music that's been released by DMV artists recently. A virtuoso--adept in violin, guitar, piano, and other instruments I am no doubt missing--OG Lullabies has given listeners a streamlined version of her sound with a short EP, Raw Channels Vol. I. It's a soothing contrast from her cosmic sounding project Cruescontrol, which she debuted earlier this year. Focusing on her unique vocals and acoustics, the entire EP runs under six minutes. Be sure to give her rendition of "Dream a Little Dream of Me" a listen, available on all streaming platforms. Chris Allen - "60 Seconds"
Maybe you've heard songwriter Chris Allen perform his Ashes EP in Pittsburgh, but his roots are in Washington, D.C. His latest track, "60 Seconds" leverages a Jay Rock sample as his theme of spirituality delivers an uplifting message, "You will not fall to the wayside." InTheRough will have more from Allen soon. Still embarked on the Resurrection Tour with Sick Boy Rari (AKA Black Kray) and Wifigawd, The Khan has released his follow up mixtape to Khanner. Both tour mates are on the project converting their hectic shows into a pocket-sized rage mosh-able anywhere. Should you need proof, check out Khan's wild night at Uptown Art House. Dreamcast teased the visuals to his latest song, "Throat" way back in January. Shot in a cabin deep in Gettysburg, Pennsylvania, Dreamcast is seen bedridden, emotionally paralyzed following the collapse of a relationship. Read more about the Kevin Chamber directed video in the soulful singer's second media hit by The Fader. Stay tuned for Dreamcast's long awaited EP, which is set to be completed by end of summer. Pat Cain at Uptown Art House photographed by Maxwell Young. Nappy Nappa follows up his latest individual project, +HEARTMATH+ REQUIEM UV UNIVERSAL REQUEST--a 35-minute mix on SoundCloud that nods to the modern wave of hip hop--with experimental textures in Model Home. 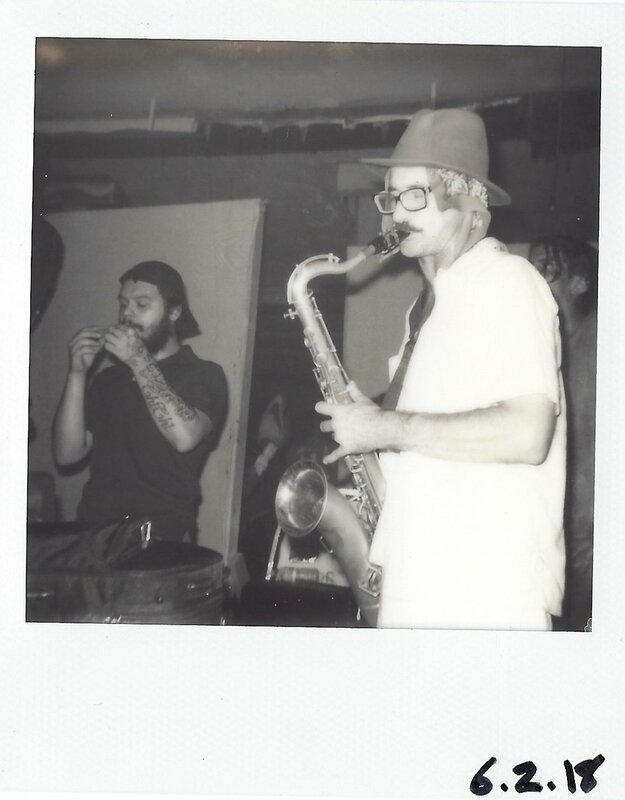 The eleven-track tape is a joint effort with experimentalist/audio engineer/saxophonist/tinkerer, Pat Cain. This pairing becomes even deadlier and less predictable when they become Delta 7, a quartet including Sir E.U and Tony Kill. A project looms at large according to fellow member of Lads, Auto Dickerson. Winzday Love is full of cosmic energy, and according to her latest single, "DRAGONS" she's walked this earth before. Love sings, "Yes, yes. We are 1000 years old," as she dances in front of meditating band members Kwesi Lee, Alireza, and Airospvce. We'll wait and see if a full project is on the horizon since this is her first official video/single release.